Safety Goggles that feature a comfortable, multi lens benefit that will allow for quick change of the lens. We are a trusted manufacturer and trader of a wide range of authentic safety goods, which include high quality Goggles. 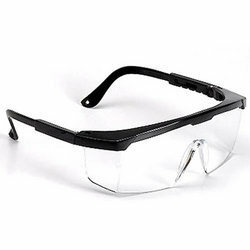 We hold expertise in providing Safety Goggles of excellent quality to the clients. We are offering a wide range of Protective Glass. For the diverse requirements of our clients we are involved in offering a wide range of Eye Protection. These glares protects the eyes from excessive sparks that are produced during welding. You should always have personal protective equipment available to your whether your working on the house, in the garden or ona building site.